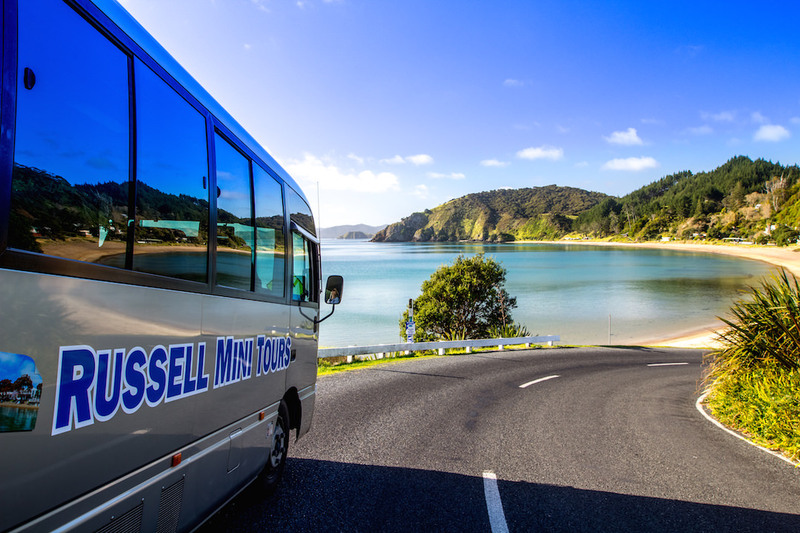 Take a guided tour of New Zealands most historic town on board one of our comfortable coaches. 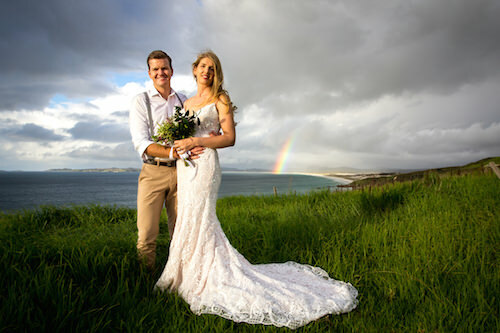 The informative tour takes you past Flagstaff Hill out to Tapeka Point and over to Long Beach to name a few magical places. The tour gives you a full run down of historical events by our charming guides and takes around an hour to complete. 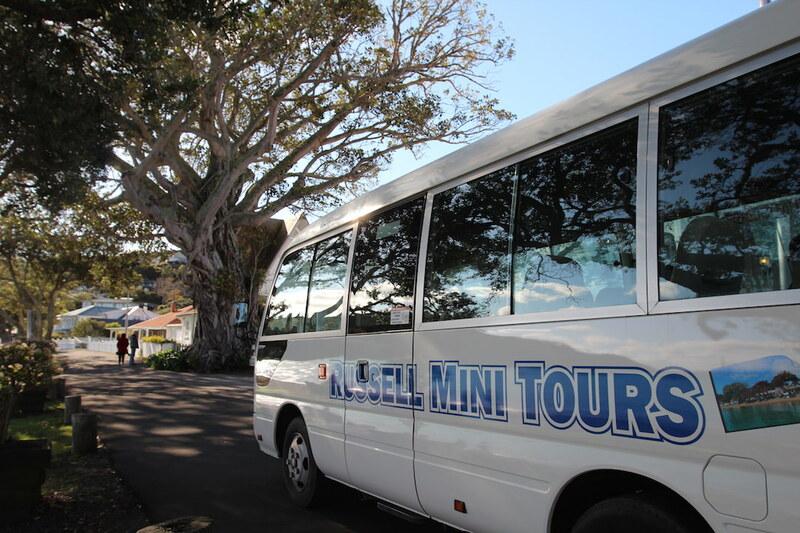 You will travel in comfort and learn all there is to know about our historic town with Russell Mini Tours. 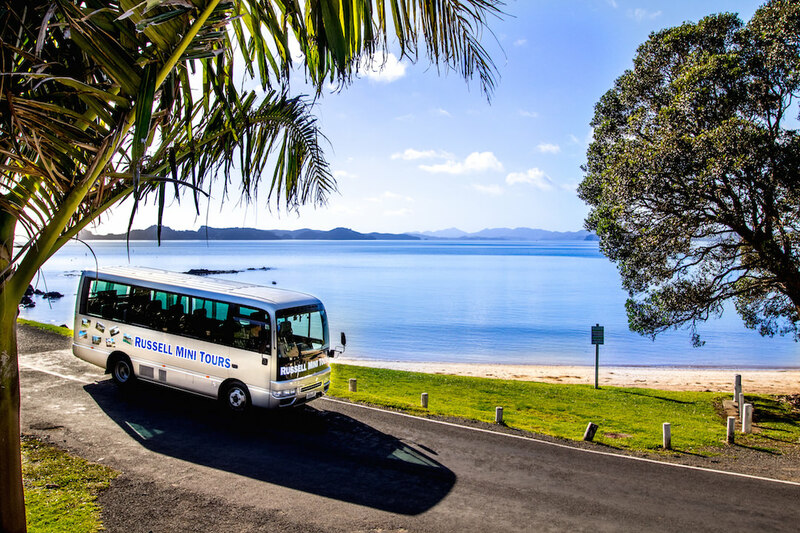 Russell Mini Tours offer coaches for charter services in the Bay of Islands. We have two coaches and a mini van for your transport requirements. For weddings (or any event) we offer transport to and from your venue and can accommodate 18 per coach and 9 for the mini van.